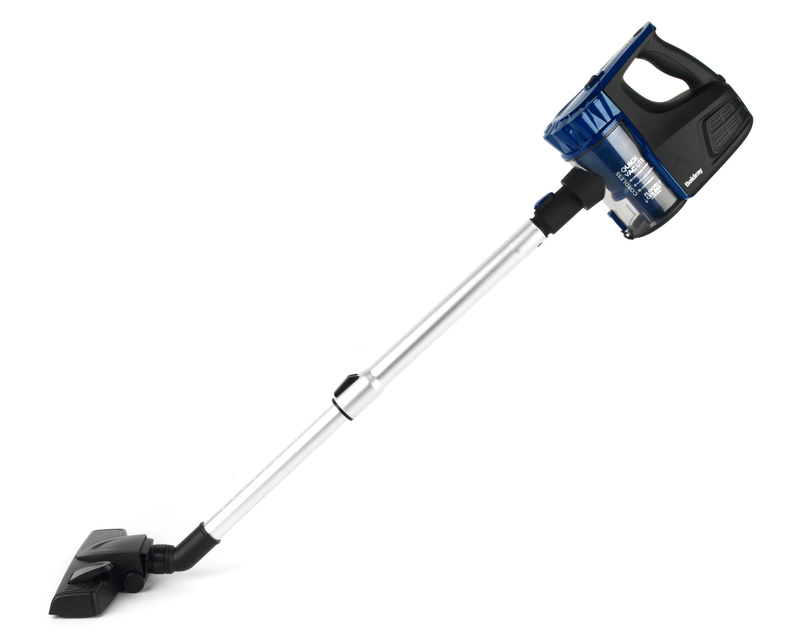 If you are short of storage space or simply dislike using heavy upright vacuum cleaners, this cordless Beldray Quick Vac Lite is the perfect choice. 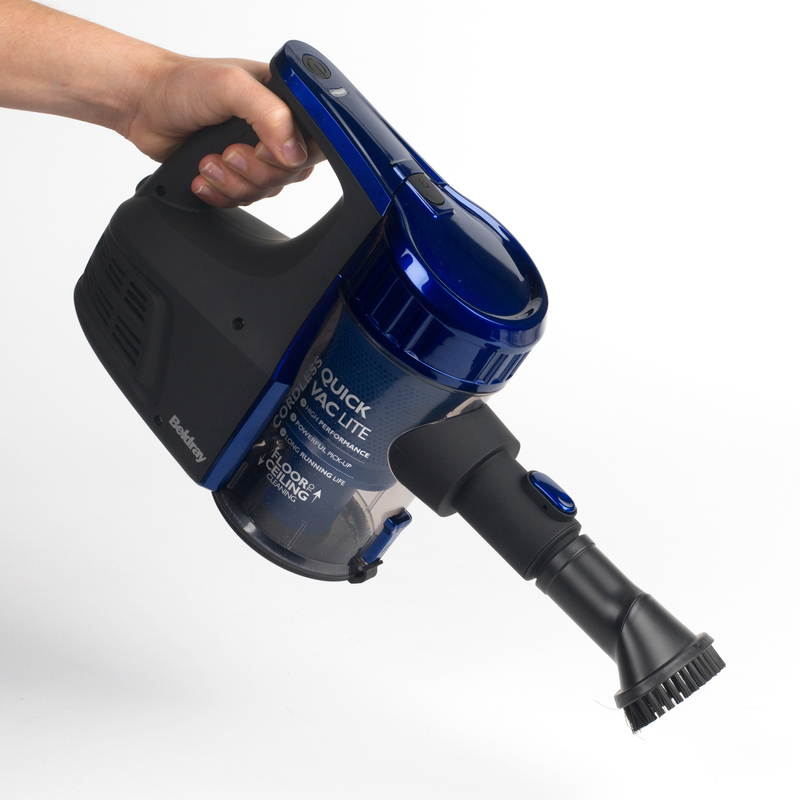 With powerful suction and a high efficiency floor brush, it provides impressive cleaning and collects dirt in the bagless 600 ml dust container. Easily convertible to a handheld unit for floor to ceiling cleaning, the rechargeable 22.2 V lithium-ion battery supplies power for up to 45 minutes, so you can enjoy quick and convenient cordless cleaning. 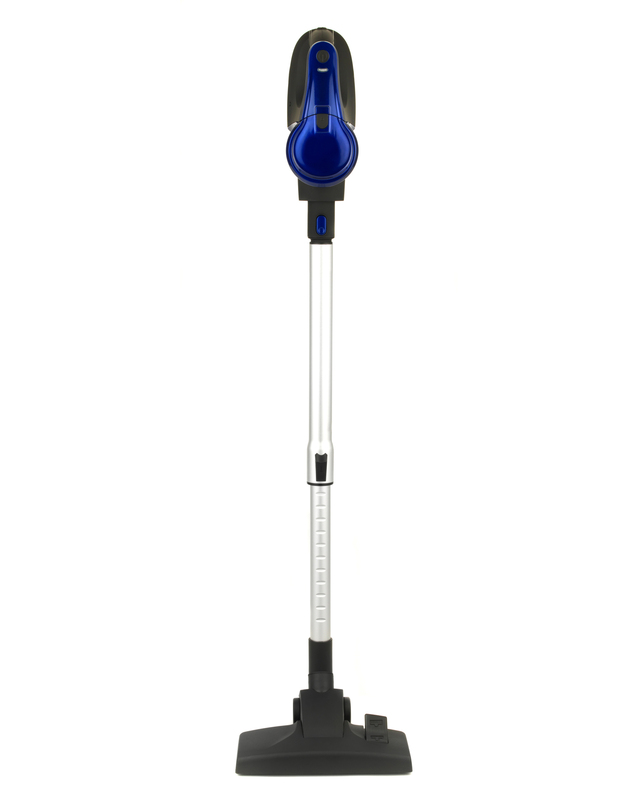 The Beldray Cordless Quick Vac Lite has an ergonomic design and cyclonic technology to provide brilliant floor to ceiling cleaning. 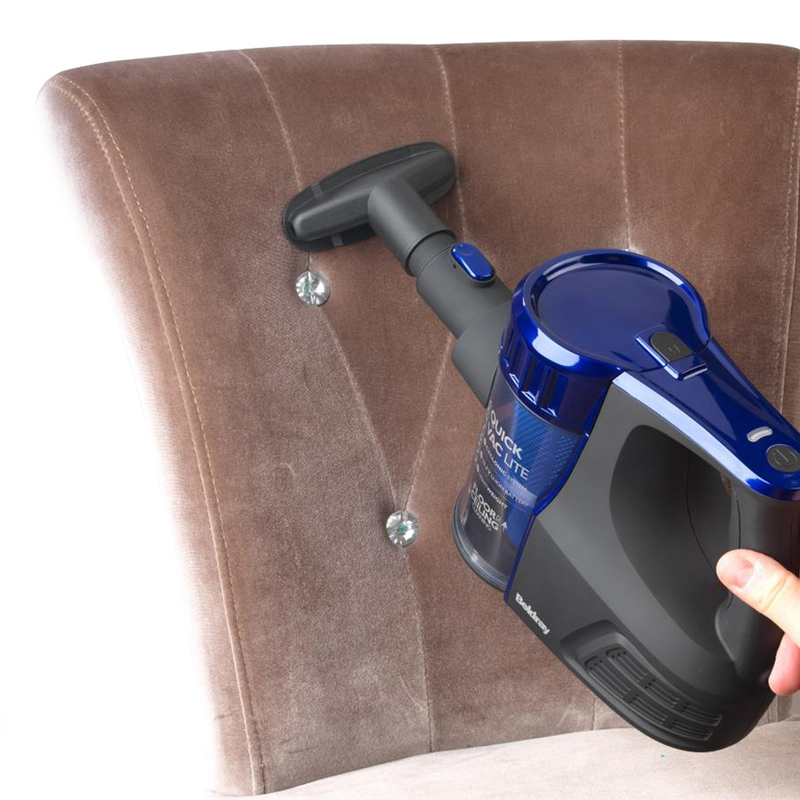 Conveniently cordless, it enables you to clean the entire house efficiently without tripping over wires or stopping to change plugs. 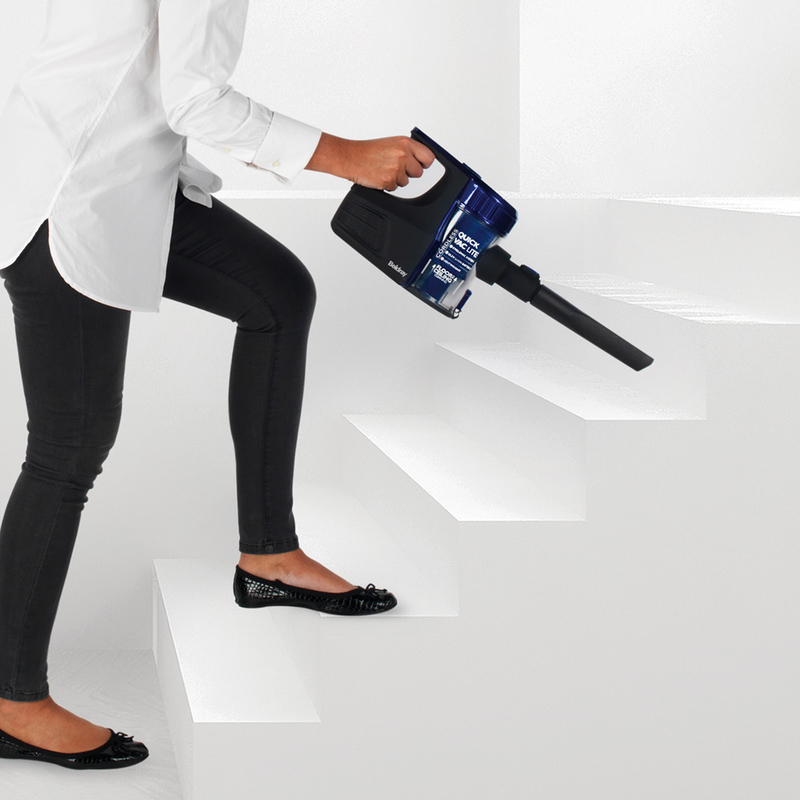 Weighing just 1.3 kg and measuring 118l x 26w x 20.5h cm, the compact vacuum has up to 45 minutes operating time with a single charge. 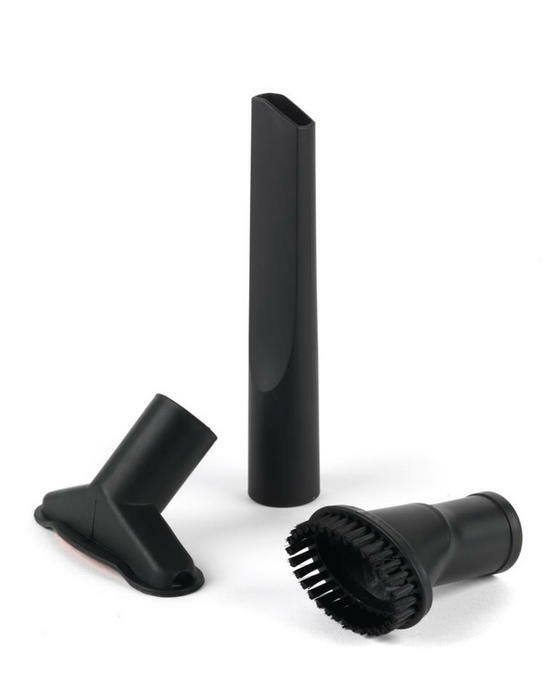 A small brush, crevice tool and upholstery tool are included, as well as a 600 ml dust container which is wonderfully easy to empty. Simply convert the vac into a handheld unit and attach one of the accessories, or use the telescopic extension tube for further reach.